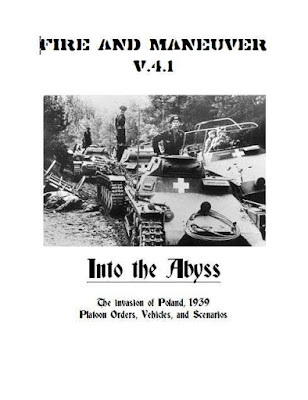 Into the Abyss is the first supplement to the Fire and Maneuver skirmish rule system. Covering the 1939 invasion of Poland, it brings in new squads, weapons, and vehicles from the early days of World War 2. This is not a stand alone, and a copy of Fire and Maneuver is needed to play.